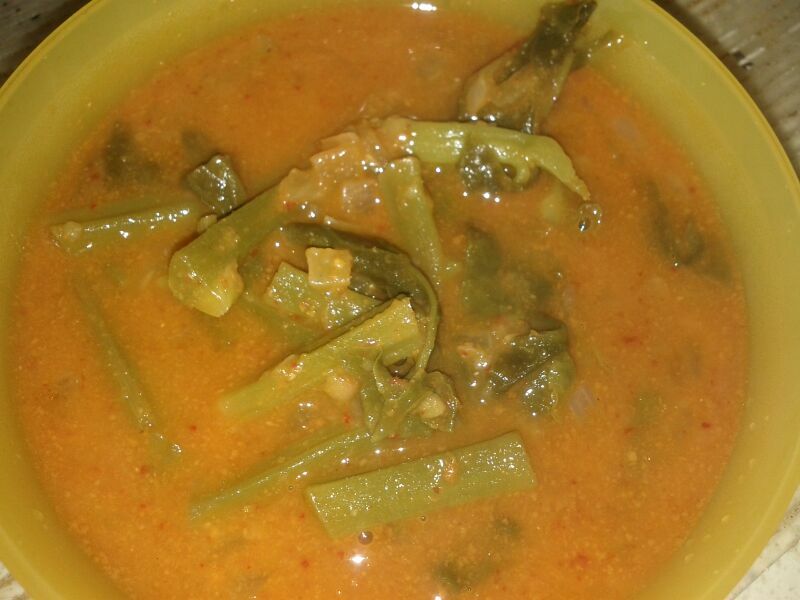 Vaali Ambat is a very famous Konkani dish. 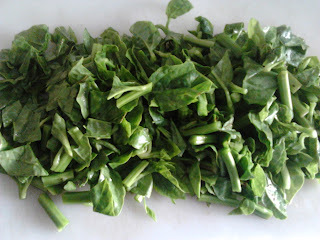 Vaali means malabar spinach or Indian spinach or ceylon spinach in English. 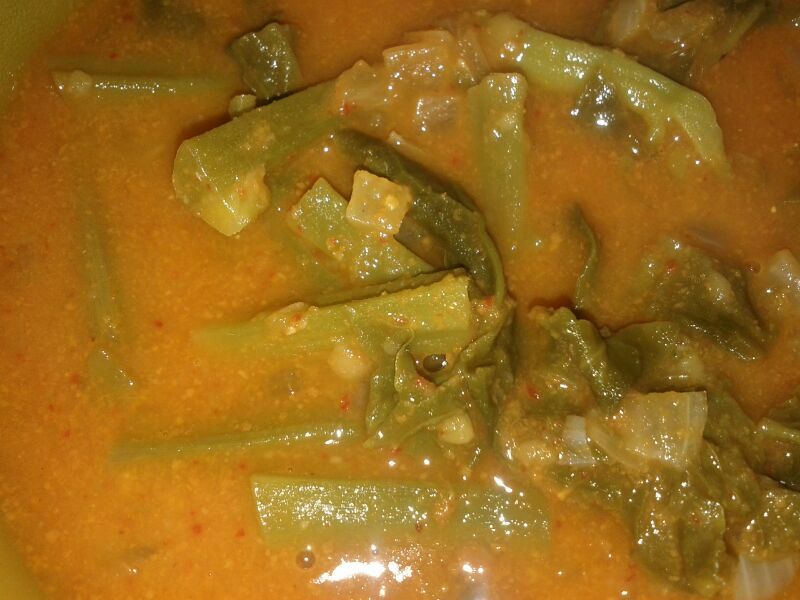 Well, this is a traditional Konkani curry which we call it as ambat. This curry can be prepared with any kind of leafy vegetables, pulses or vegetables. Along with pulses or leafy vegetables one can add raw papaya, yellow / Mangalore cucumber,yam, fresh prawns, dry prawn / shrimps to enhance the taste. This dish is very healthy as it is rich in proteins, fiber and minerals. Malabar Spinach or Vaali grows as a creeper and we have this grown in our house at Mysore. We use it fresh when needed to make this curry and the aroma spreads in the entire house. Tender stem is used in the curry but the harder part is a waste. This curry is made out of coconut, toor dal and fried onions for seasoning. Number of chilies depend on how spicy they are. I am using 8 as mine are not very spicy. Adding Turmeric Powder and little oil will help to cook toor dal faster. Make a smooth paste of above mentioned ingredients in "to be grinded" table by adding little water. Clean the vaali / malabar spinach and separate the leaves from the stem. Cut the stem into 1 inch long. Wash and drain the toor dal. In a cooker, add toor dal, separated malabar spinach / vaali stems and sufficient water. Wait for 2 whistles and allow it to cool. On cooling, add the smooth paste to the above cooked mixture and mix well. Bring it to a boil by adding salt as needed. While it is boiling. Heat oil in a spatula for seasoning and add chopped onions into it and wait until the onions turn golden brown. Once the onions turns its color to golden brown, pour the fried onions over the boiling curry. Mix well and switch off the flame and serve hot with plain red or white rice.